Herewith the full W2F report on the current status of Development in Greyton. I agree with much of the content of 1. STATUS QUO. However, having been involved in a number of contentious Building Applications that have been submitted to TWK during the past +- 15 years, I have learned that many of the laws, regulations and guidelines have been misinterpreted and/or misunderstood by some of the parties involved, including myself! One very important aspect of the GREYTON STRUCTURE PLAN of 2000 was that it was approved in terms of LUPO 1985 [Act No. 15 of 1985] Chapter 1. It clearly states that its purpose is ‘to lay down guidelines’ [5. (1)] and, more significantly, states, ‘A structure plan shall not confer or take away any right in respect of land’ [5. (3). Mr Carl Browne, a senior official at Provincial Planning, kindly explained this to me a decade ago, to bring clarity and settlement to a dispute over the Bourdin house on Erf 951. At that time, TWK had no internal planning department and the planning function was carried out by contracted planning consultants [PIMMS]. It is also important to note that, ‘–a structure plan shall lapse at the expiry of a period of 10 years after the approval thereof–‘. In the case of TWK, the structure plan was superceded by the SDF in 2011 [I think]. The SDF itself is a guide, not a law. I am not taking sides here. I am convinced that the internal squabbles between concerned residents, involved individuals, property owners, architectural professionals and civic organisations, will not move us toward any solution of the future development of our beautiful village. 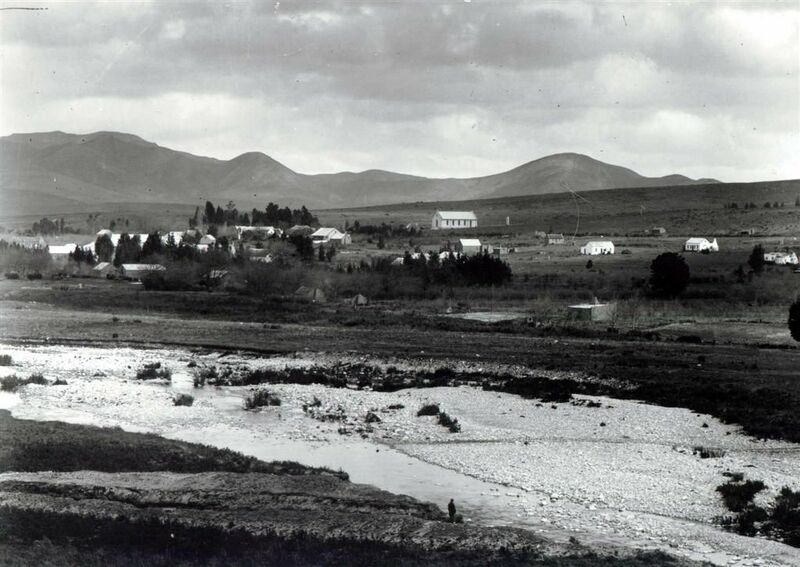 I have, for at least 15 years, continually requested that the necessary aesthetic guidelines for Greyton be developed into a formal, simple, concise and objective document which can be clearly understood and accepted by the architectural professionals involved, the property owners, the ESTATE AGENTS, TWK officials, and all the residents of Greyton. I believe the Heritage Survey, whilst being a commendable endeavour, is, in itself, a mammoth task which will be too contentious and far too complex and expensive to complete satisfactorily. It is also subject to the input of subjective and personal views of the numerous unelected persons involved. This, I am convinced, will turn out to be waste of scarce and valuable taxpayers money which is urgently required for vital human needs elsewhere. Another simpler and effective alternative must be found. Having said all this, I am among those who admire and appreciate the expertise, time and effort freely given by the individuals involved with W2F, GAAC and other local organizations. We don’t often always agree but the love and concern for the residents and the village of Greyton should be evident to all. 1. I have never, knowingly, submitted a building application to TWK that does not comply with the NBR&BSA, the TWKIZSR, or any other law, by law or regulation which governs the erection, alteration, addition or renovation of any building. as I understand them. As there are several undated and unapproved versions of this document floating around, this has often proved to be frustratingly impossible, as the opinions about what is actually required changes continually, depending on the composition of GAAC and the constantly ‘evolving’ views and priorities of individual members. EXTERNAL [street facing] doors, windows, fascias, barges, verandas. I would appreciate it if you, or anybody else, would point out to me any building, whether complete or under construction, for which I have been appointed professional person in terms of SANS10400-A , that does not comply with all legal requirements. Surprisingly, I have not received any direct or official communication from TWK, or any other official concerned body, that any of the recently completed buildings or those currently under construction which I am responsible for under the NBR&BSA, do not comply with all the conditions of the Act. I will continue to carry out my work in a professional, diligent and ethical manner. I have never attempted to circumvent or manipulate any applicable law or regulation in pursuit of meeting a client’s requirements or expectations. In this regard, it is absolutely vital imperative that W2F, and all others who wish to comment or make definitive statements on these issues, make absolutely sure of the facts before making verbal or written statements. From what I have heard and read over recent weeks, it is quite clear that a great deal of what has been communicated, including some in this W2F report, is erroneous. I wish you the best with your continuing endeavours. Thank you Dave for your input and very comprehensive response.